A busy busy time for weeks and weeks, with work, home, crafting, being a mum, generally juggling life. I now work in London two days a week – it was three short days, now it’s two slightly longer days. It is exhausting but sometimes can be fun. One of the best things, oddly enough, is walking from Charing Cross station to the top of Oxford Street. I wiggle my way there through Seven Dials and often admire the shops and cafes. It feels very continental with pavement tables and chairs and little boutiques. At the moment there are flags strewn across the main road and it is quite festive – think of summer fetes, though the sun isn’t always shining! A few weeks ago there was a lovely display outside Gudrun Sjödén Ltd at 65-67 Monmouth Street (in fact their windows and displays are often fabulous!). This one was so nice I had to take a snap. 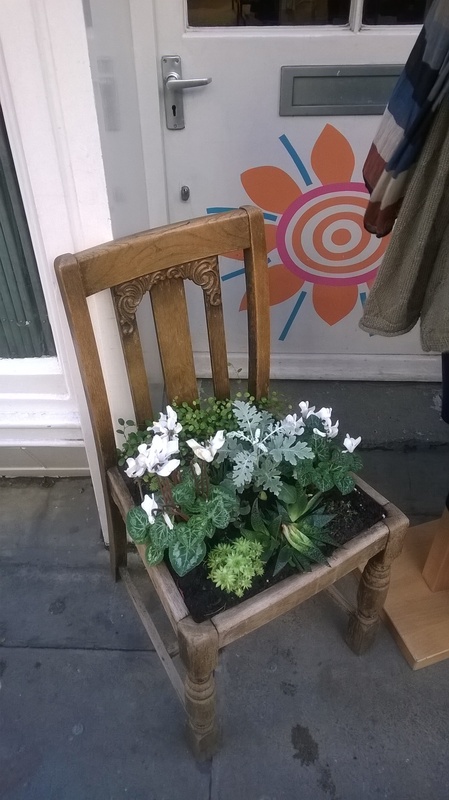 A garden in a chair – a great idea that I would like to emulate one day too. When I have had time I have been sewing and knitting to my heart’s content. There are still many WIPs but I have actually finished a few things too. I shall pop pics on here soon. I now work for a knitting online retailer – can you imagine what a ‘sweet shop’ it is for me?! 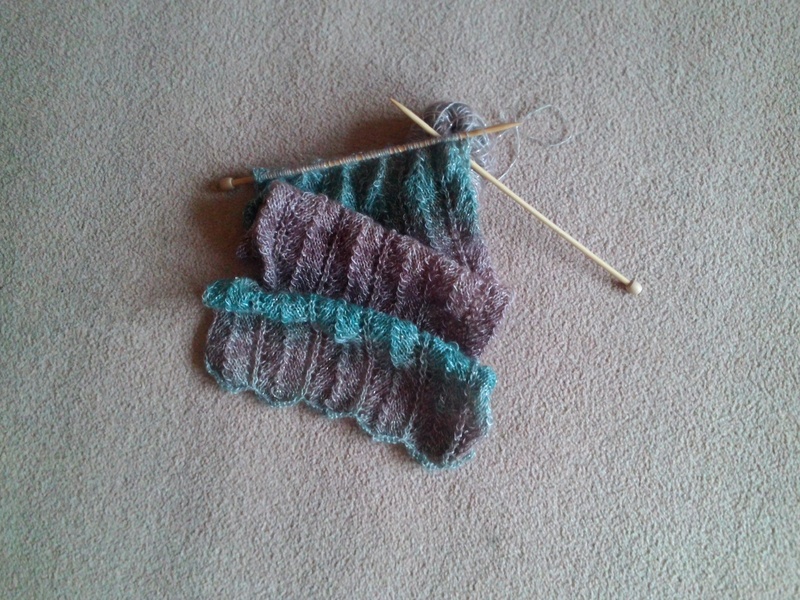 So many yarns, so many projects ….. colleagues are now suggesting a KAL called After The Rain. I might just join in, though what colour to choose to make it in…. Perhaps something cool for next summer, like a cotton/linen mix. So away to click the needles on my current project that needs to be finished by the time No 1 son starts Uni in September. One more UFO becomes again a WIP which means I can consider a new project! 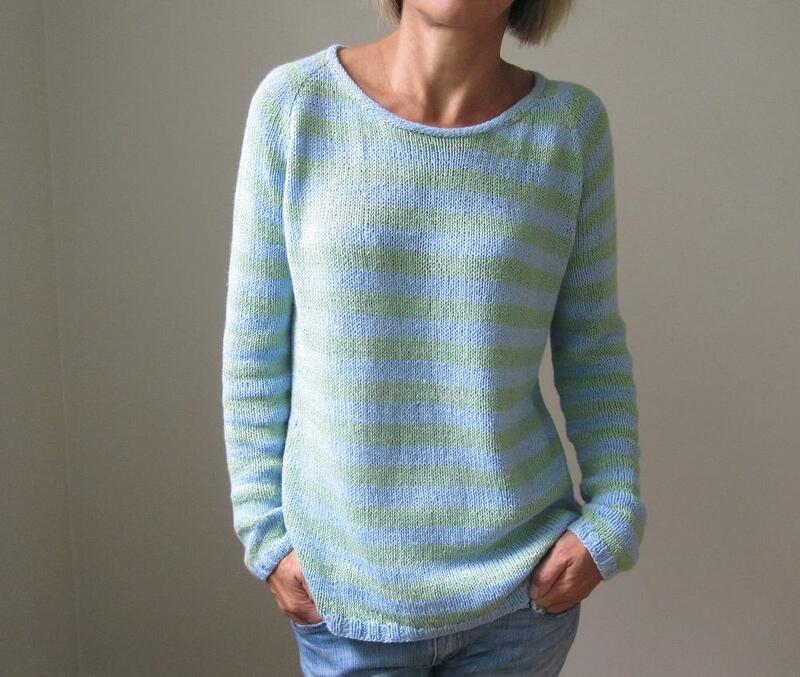 This entry was posted in Uncategorized and tagged after the rain, garden, gudrun sjoden, knit, london, seven dials, WIP.